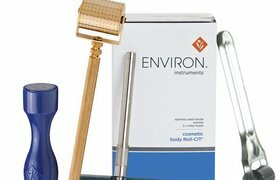 Cosmetic micro-needling is a minimally invasive technique using a derma roller equipped with many tiny needles that produce microscopic channels in the skin, allowing the active ingredients in your skin care products to penetrate the skin up to 10,000 times more effectively than by applying products topically. 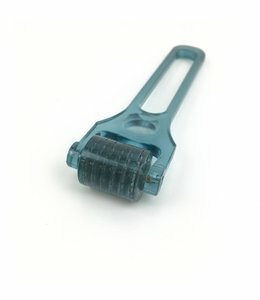 This technique makes it possible to improve the delivery of powerful antioxidants, vitamins and polypeptides, thereby accelerating natural collagen production and skin cell regeneration. In addition, this breach of the epidermis triggers a natural healing process, which releases many growth factors and stimulates the production of collagen and elastin. 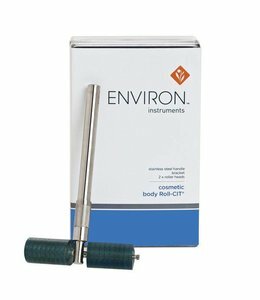 This technique promotes skin rejuvenation with little to no discomfort and absolutely no down time. You can do this treatment in the comfort of your home, two to seven nights a week as part of your daily skin care regimen. Cleanse and then roll vertically, obliquely and horizontally with the roller followed by the application of your serum or cream used in your evening skin care regimen. 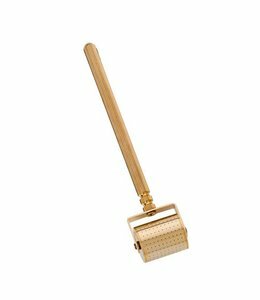 The instrument can be cleaned easily with hot water after each treatment, and with an alcohol based solution once a week. The result: softer, firmer skin, reduced fine lines and wrinkles and thickening of the skin for a better protection against damage caused by exposure to UV rays and environmental pollutants. Suitable for all skin types, except severe solar keratosis, eczema, psoriasis, raised moles, warts, skin cancer and problematic skin conditions.